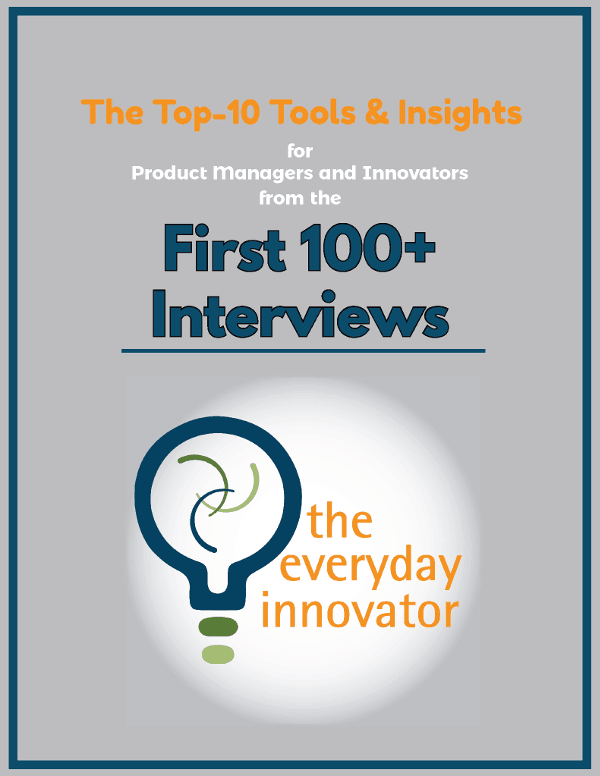 This interview should be a fan favorite as many people have emailed me asking what executives want from product managers. My short answer is that executives and senior leaders want product managers to be thinking and acting more strategically towards the objectives of the organization. However, there are a lot of specifics to discuss, and this interview does that. 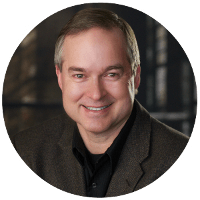 My guest structures the discussion around three stages of organizational growth, which he calls the early stage, adolescent, and well-established. 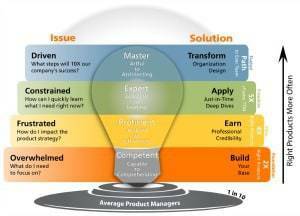 What executives need from product managers differs with each stage. 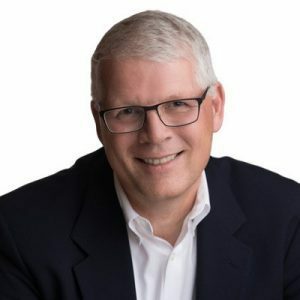 Sharing these insights with us is Scott Propp, a former Fortune 100 executive and all around product guy. Today he serves organizations on a short-term basis, helping the executive team identify the right high-value product opportunities that yield the maximum return. [2:47] How do executives think about products as part of their responsibilities? It depends on the state of the organization. If the business is high-functioning, they are likely to view product management as one of many functions of the organization. When the organization is experiencing growth or financial stress, product management becomes more of a focus. The health of product management – the ability for the organization to produce desirable products – is a leading indicator of financial stability. Usually, when I am asked to help organizations, the product capability has been off track for too long. Early Stage: This is the start of an organization. The product objective is to get the first product-market fit right. The product manager is engrossed in the value proposition of the emergent company. Adolescent: The organization is serving a market and growing rapidly. Processes and functions are being created to respond to the growth. For some organizations, this is when their first product management function is created. The product manager is creating order out of chaos. They are creating a platform, structure, and addressing complexity. Well-established: Organizations have established a well-functioning operations function along with a strategic function. The connecting tissue between these functions is the product manager. They connect the insights from the sales function into the strategy function. They also are execution focused, producing the products the market wants. [8:51] What do executives want from product managers in an early stage organization? Typically such an organization has a visionary founder with high expectations and demanding time schedules. The founder is throwing things your way to respond to, such as a prototype she promised a prospective customer in two weeks. The product manager needs to be the grownup in the room to help organize what is needed and create benefits for customers. The organization is in a race to create a sustainable business and achieve product-market fit before running out of money. There will be a lot of iteration and uncertainty. Product managers need to navigate the rapidly changing environment, make the best use of very low resources, and make wise bets about what to do. They also need to think strategically about making decisions and helping the senior leadership team. The successful product manager in the early stage moves fast, is responsive, leverages intuition, and knows how to hustle. [13:19] What do executives want from product managers in an adolescent organization? This is one of the most turbulent times in the history of an organization and many organizations encounter a management crisis as they grow up. The primary metric for organizations in the adolescent stage is sales – growing revenue. To get to this point, the visionary leadership has likely said “yes” to just about every customer request, adding product features when asked, resulting in numerous distinct versions of products. To avoid the operations capability of the organization from becoming schizophrenic and failing, standardization and discipline must be added. Product managers need to be the editors, shaping the product offerings to create standardization and scalable solutions. They will have to remain entrepreneurial while adding discipline and building relationships in functions across the organization. Product management is now key to mediation between the customer, operations, and the visionary founder. Product managers must absorb requirements from several directions and yet create clarity for the future of the product. [21:31]What do executives want from product managers in a well-established organization? As organizations mature, they have the process in place and well-established operation environments. They are relatively inflexible when it comes to customer requirements. The customer-product creation capability and the operations delivery capability can have a gap between them. This is where product management needs to live. Product managers should be bringing the voice of the customer into the organization and bridging this gap. Consequently, product managers become a key driver of keeping the products/product families vibrant and appealing to customers. In a sense, product managers need to be the CEO of their products, managing up, managing laterally, maintaining significant external relationships, and being very articulate in their communications. It is a significant executive role. [27:48] How can product managers prepare for success at any stage? They must apply the information that is available to them. This should start with understanding the dominate narrative in the organization – what the organization is telling itself. Product managers need to put this in the context of where the organization came from, where it is, and where it is heading. Second, if the organization is public, read the 10-K. It is a wealth of information, disclosed publically, about the organization’s strategy and plans. Third, take people in the organization who are must unlike you to lunch and ask them what their job is like. This will open opportunities for you. Lastly, always meet with customers when you have the opportunity.